Just about every Millennial in the world is following the E3 (Electronic Entertainment Expo) this week but perhaps not as many car guys and gals. But they should. Forza Motorsport, one of the leading automotive racing game franchises, debuted the first trailer for the upcoming Forza Motorsport 7. If you haven’t seen it, watch it now. You might not even be able to tell its a video game! Pretty sweet huh? Taking a Porsche 919 through the desert in Dubai or a Pagani Huayra on a rainy track is something most people could only dream about but Forza 7 will make it happen. But that’s not the only Porsche related treat this year. 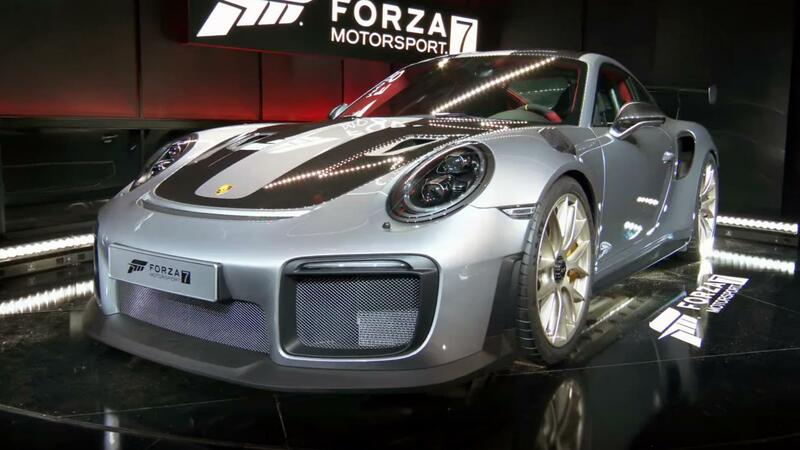 Forza also had the privilege of unveiling the US spec Porsche 911 GT2 RS – the most powerful 911 ever built (>650 hp)! This is the first time a supercar has ever made its debut at E3 and it just happens to be one of the most reluctant manufacturers to appear in racing games. This is a big win for gamers and gearheads alike!